The current W.D. now over Pakistan, and fast approaching NW India.Precipitation will be in pockets over Pakistan's Northern and Sindh regions on Friday, and will move into NW India via the Kashmir/H.P./Punjab route and bring snow in Kashmir and hills of H.P. Rains in Punjab and Northern Rajasthan will start from 29th. This system is not likely to effect the states east of U.P. The precipitation will spread into Western and Central regions of Nepal on 30th./31st. Kathmandu can expect some rain on 30th/31st. ill only drop after the passing of the system and the skies clearing. Drop in day and night temperatures could be expected in Rajasthan, Gujarat, Mah. and M.P. regions from 30th. as the N winds take control. Rains in Pakistan on Friday will bring light cold conditions in the Northern plains and Sindh. In the Sindh regions, we can expect the nights to drop by 2/3c from today's level. Karachi could drop below 10c again. 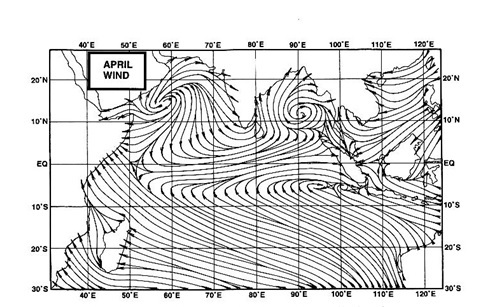 Meanwhile, IMD sees a well marked low forming in the Easterly wave in the SE Bay by the 2nd of Februaury. I feel the Easterly wave parameters like SST and depth are not so conducive so as to form a system. Heavy rains, upto 70 mms /day may strike Sri Lanka on the 1st/2nd/3rd , while lesser amounting rains will start along the eastern Coast of Sri Lanka from 27th./28th. of Feb. 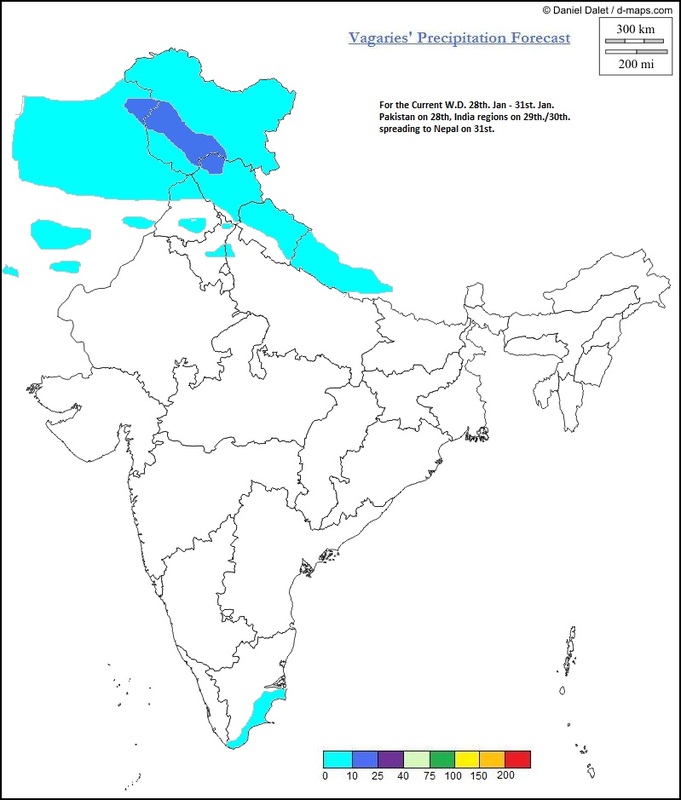 These rains were also anticipated in vagaries' reports of 23rd.Jan. Another W.D. is on its way, and will preicipitate in Pakistan's Balochistan, Sindh, Punjab and Northern hills from 3rd. February again. Could be stronger than the current W.D. So, overall, for the Sub-Continent, wet for the NW till the 5th.and cold weather prevailing into the 1st. week of next month.